Resident of Kolomyia (Ivano-Frankivsk region). Worked as a locksmith at “Silmash” plant, later opened his own shop. Participant of the “Orange Revolution”. Was visiting Maidan for two months. Helped wounded people, was on duty at the nighttime, cleaned. In January, during the confrontation on Hrushevskyi street was hit from a water cannon and got ill. 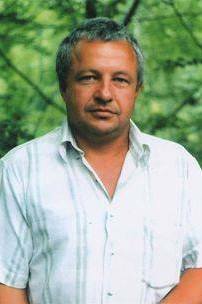 He died from complications at Ivano-Frankivsk hospital. Survived by his wife, a daughter, a son and a little granddaughter.